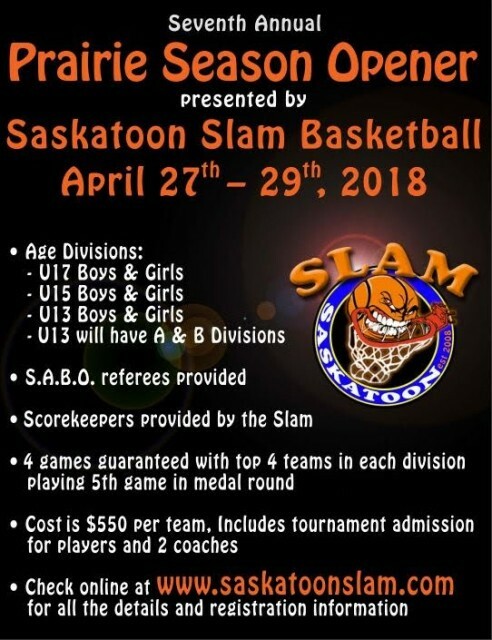 Please find the link below for the registration to the 7th Annual Prairie Season Opener presented by Slam Basketball on April 27-29, 2018. Registration fees can paid via Credit Card, E Transfer or Check. Hotel information for the tournament is attached.